If you are in default with your car payments, your lender can usually repossess your car without any notice. However, a bankruptcy can help you stop auto repossession and may even help get your car back after it has been taken. As soon as you file for bankruptcy, an automatic stay goes into effect. This forces your creditors to halt all collection activity. This means they cannot repossess your car. 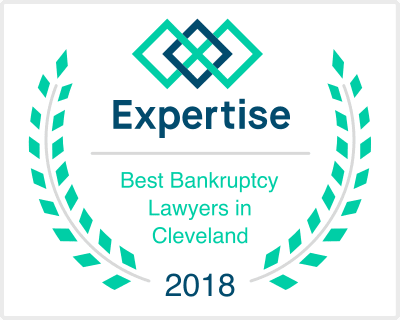 With few exceptions, you are fully protected by the bankruptcy and creditors must be granted court permission before continuing collection activity. If you fear that your car may be repossessed and do not have the option of bringing your default payments to current, a bankruptcy may be your best option. A chapter 7 bankruptcy will temporarily stop the repossession and give you a short time to cure your backed up payments. In contrast, a Chapter 13 bankruptcy will let you catch up on your car payments and give you 3-5 years to pay off your debt. As previously stated, filing a Chapter 7 bankruptcy will temporarily stop creditors from repossessing your car through automatic stay. This gives you a few months to bring your payments up to date if you wish to keep the car. Depending on your situation, it might be possible to file for Chapter 7 bankruptcy and keep the car. This depends on the current value of your car on the open market, and your state exemptions. In Ohio, the motor vehicle exemption in bankruptcy is $3,775 in value for one car. If the value of your car is within the exempt amount you are safe. However, if your car does have too much value, you can only exempt a portion and have the rest of the value exposed. In situations like these, it is beneficial to speak with an experienced bankruptcy attorney about your options. They may advise that you surrender the vehicle and receive the exempted amount. Another option might be to settle with the trustee, pay the amount that you cannot protect, and keep the car. Or they may suggest filing a chapter 13 bankruptcy instead, where you could repay the debt over time. If you still have your car by the time you file for bankruptcy, the automatic stay will prevent repossession until the judge approves your Chapter 13 repayment plan. Then, if your repayment plan covers your back payments, your lender cannot repossess the car after the bankruptcy; assuming you stay current on your payments. Another Chapter 13 benefit, is the possible reduction of car payments. You may be able to reduce the car loan to the current value of the property. For instance, if you owe $15,000 on a car you bought 5 years ago but it’s only worth $8,000 now, Chapter 13 may allow you to reduce the amount you must pay back to $8,000. You could also be able to reduce a high interest rate to a more affordable one. If your car has already been repossessed, Chapter 13 is your best chance at getting it back, since it’s designed to let you pay off your debt through a repayment plan. Usually, when you file a Chapter 13 bankruptcy, the lender will voluntarily return the car but you would have to pay the repossession cost. If they do not cooperate, a judge will typically order the lender to return the car to you. On the other hand, Chapter 7 is not as helpful if you want to get your car back from the lender. Depending on your lender and local bankruptcy court, you may be able to negotiate the return of your car, but would most likely have to pay repossession cost and bring the car payments to current, which is difficult for most people to do. Speaking with an experienced attorney will inform you on all of your options and help decide which course of action to take.